Receives and studies pastoral needs of the diocese. Formulates recommendations concerning the pastoral needs of the diocese. Plans for quinquennial meetings of the Diocese of Gaylord. Evaluates the implementation of diocesan goals. A pastoral council is to be established in all parishes of the Diocese. Pastors/Parish Life Coordinators are to regard pastoral council development as a major parish priority. The pastoral council is a community of servant leaders whose purpose is to assist the pastor in discerning, through prayer and study, how the parish can best carry out the mission of the Church. The pastoral council is the primary advisory body to the pastor/parish life coordinator in the parish, considering all matters of major pastoral concern. In such matters, through prayer and study, policy recommendations are carefully discerned by the pastoral council together with the pastor/pastoral administrator. Policy is implemented by the pastor/parish life coordinator, pastoral staff, and other members of the community who minister with them. The pastoral council's responsibilities include calling all to ministry, pastoral planning, stewardship and/or other pastoral concerns that the pastor/parish life coordinator designates. Pastoral councils are called to model the unity of the Body of Christ. Councils should be representative of the diversity of the parish community, yet united in carrying out the one mission of the Church. Methods used to select pastoral council members should promote this unity in diversity. Pastoral councils may form various commissions to assist them in their advisory role. 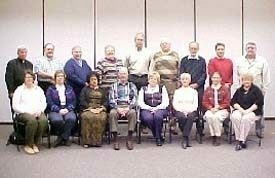 Pastoral councils bear the responsibility for forming their members to carry out their roles of servant leadership. Orientation, in-service education, and skills training should be provided to insure that members are able to fulfill their responsibility as Christian leaders. The pastor's/parish life coordinator's role in this formation is of particular importance and should be clearly recognized. Meetings shape the way in which the pastoral council fulfills its mission. Each pastoral council is required to have a charter. The charter should reflect the guidelines and spell out how the pastoral council will achieve its purpose and fulfill its responsibilities. Once the pastoral council has recommended this charter and the pastor/pastoral administrator has approved it, the pastor/pastoral administrator is to forward it to the Bishop for his approval. The charter should be evaluated regularly by the parish and periodically by the diocese. A parish finance council is to be established in all parishes of the Diocese. Pastors/Parish life coordinators are to regard finance council development as a major parish priority. The finance council is a community of servant leaders whose purpose is to assist the pastor in discerning, through prayer and study, how the goods of a parish can best be administered. The finance council is an advisory body to the pastor/parish life coordinator in the parish, considering all matters of major financial concern. In such matters, through prayer and study, policy recommendations are carefully discerned by the finance council together with the pastor/parish life coordinator in accord with the regulations of universal church law as well as norms issued by the diocesan bishop. Policy is implemented by the pastor/pastoral administrator, pastoral staff, and other members of the community who minister with them. The finance council's responsibilities include the careful stewardship of parish resources, the development of further resource, and the allocation of resources to carry out the goals and objectives established by the pastor/parish life coordinator with the pastoral council. Members of the finance council should be committed to the mission of the Church and should possess experience or expertise in business and home finance, planning, administration, and law. Finance councils may form various commissions to assist them in their advisory role. Finance councils bear the responsibility for forming their members to carry out their roles of servant leadership. Orientation, in-service education and skills training should be provided to insure that members are able to fulfill their responsibility as Christian leaders. The pastor's/parish life coordinator's role in this formation is of particular importance and should be clearly recognized. Meetings shape the way in which the finance council fulfills its mission. Each finance council is required to have a charter. The charter should reflect the guidelines and spell out how the finance council will achieve its purpose and fulfill its responsibilities. Once the finance council has recommended this charter and the pastor/parish life coordinator has approved it, the pastor/parish life coordinator is to forward it to the Bishop for his approval. The charter should be evaluated regularly by the parish and periodically by the diocese.